Additional content will be available soon. Ms. Tovar blends her policy training, community leadership and communications experience to enhance client relationships with corporate America, consumers, the media and in the court of public opinion. 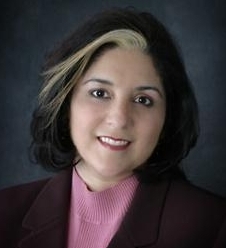 Adept in demographics, Ms. Tovar has advanced her clients’ projects with precise timing. To her own practice she brings her experience as director of public relations for the premier US Hispanic advertising and communications agency, she led the department in the design and execution of corporate and community public relations programs for flagship clients—Kraft, Oscar Mayer and Post Cereals and won PR assignments from Blockbuster, McDonald’s, Lincoln Mercury and several other global brands. Ms. Tovar is one of only a handful of bilingual crisis communications strategists with national experience managing high profile incidents before 60 Minutes, and covered by the San Francisco Chronicle and business publications including Crains, AdAge, PRWeek, PR News, Businessweek, the Wall Street Journal, American Demographics, The New York Times and many others. Ms. Tovar continues to provide her clients with signature public relations and full-service creative and agency services. Her firm services include market research to ensure development of culturally relevant campaign strategies. 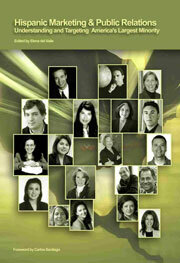 Her clients span national and local initiatives to effectively reach Hispanic and general market audiences. Ms. Tovar is an active member of Public Relations Society of America and served as the Multicultural Communications Section Chair leading the way in development of Best Practices for the industry association. Ms. Tovar is a contributing author of Hispanic Marketing and Public Relations: Understanding and Targeting America’s Largest Minority released in 2005 and the only Hispanic market focused publication to be recognized as an academically accepted publication.